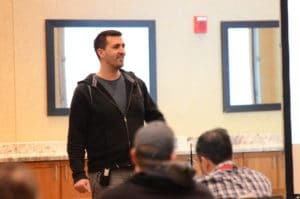 How did Jerry Olla develop the WLPC mobile WLAN testing tool? Ever wonder how the WLPC mobile WLAN testing tool came about? In this episode, Jerry and Keith talk about how the mobile WLAN testing tool was developed and why, it’s different iterations, and where it might be headed in the future. Having a small, powerful, mobile WLAN testing tool was something Jerry Olla had been experimenting with. The idea intrigued Keith and he ended up asking if Jerry could create one for WLPC. After much experimenting, trial and error, feedback and testing, he has created a great tool benefitting the entire WLAN Pros community. Want your own mobile WLAN testing tool? We have some available at the store HERE – get them while supplies last. The final version of the tool was built using the NanoPi and comes pre-loaded with several testing tools. Here’s a picture from WLPC during the class where students are going through the sample tests designed by Jerry and Scott McDermott. Jerry said the idea came for developing this tool when he had been at a company working with voice over Wi-Fi type deployments. He wanted to test the readiness and resiliency of the networks hew was working on to ensure they could support the type of traffic they were deploying. After a few iterations Jerry stumbled onto the ODROID. He found it could easily support different Linux kernels and it was up to date, supporting all the packages he needed for it to work well. It even had a nice form factor similar to that of the Raspberry Pi. It was nice and small and really low-power so could be easily powered by a battery. There were still some issues with cases and a good display screen. 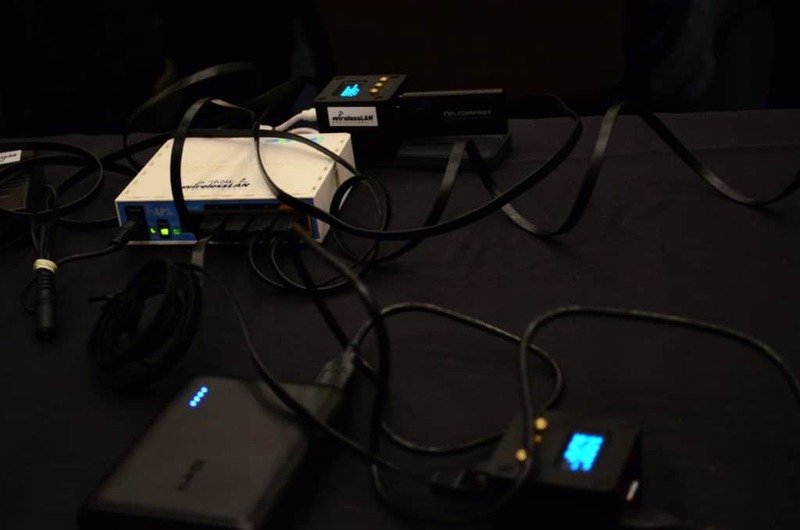 The current evolution, which seems to have hit all the pain points and is what was introduced at WLPC Phoenix 2018 is the NanoPi. Here’s what Jerry says about this version of the tool. “We found a new hardware platform that’s still the same concept but it’s now built off this NanoPi infrastructure and the board we are using is called the NEO2. It has a Gigabit Ethernet port. It’s capable of doing 800 – 900+ megabit per second throughput making it great for testing things like the latest and greatest 802.11ac, and APs. The NanoPi provides all the functionality we needed but in an even smaller form factor.